Thank you to everyone who joined us to support the Chesapeake Rubber Duck Race on April 27. This was the fifth consecutive year we joined other area businesses in sponsoring this fun event. 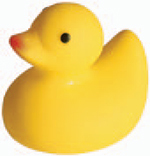 All proceeds from the annual duck race benefit the Children’s Health Investment Program (CHIP). This nonprofit agency provides a range of services for the underprivileged children of South Hampton Roads. Visit chipshr.org to find out more about all the good work that CHIP does for the children of our community.